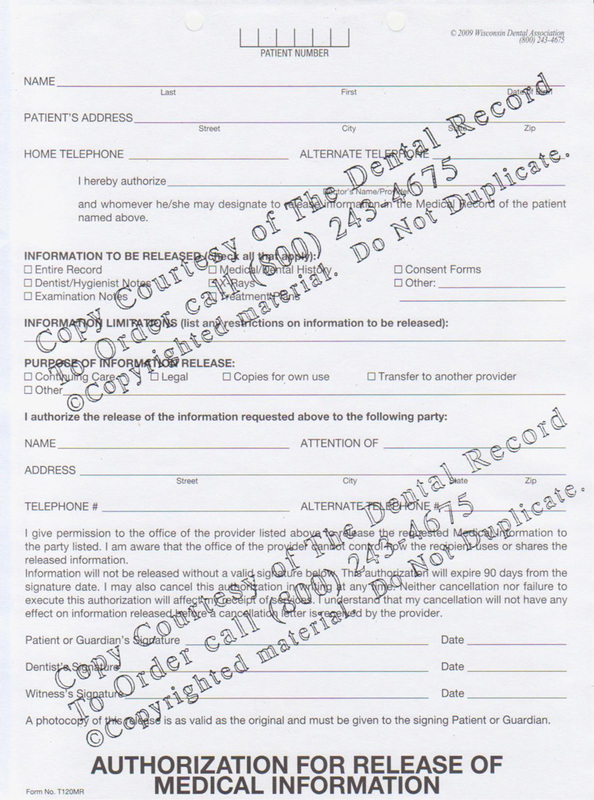 The Medical Record Release form is for the authorization for release of medical information. This form must be completed and signed by the patient/guardian in order for the provider to release the patient's medical records. 100 forms per tablet. This form is for the authorization for release of medical information. This form must be completed and signed by the patient/guardian in order for the provider to release the patient's medical records. Tablets of 100 single-sided forms, pre-punched and cut to fit into the patient file.